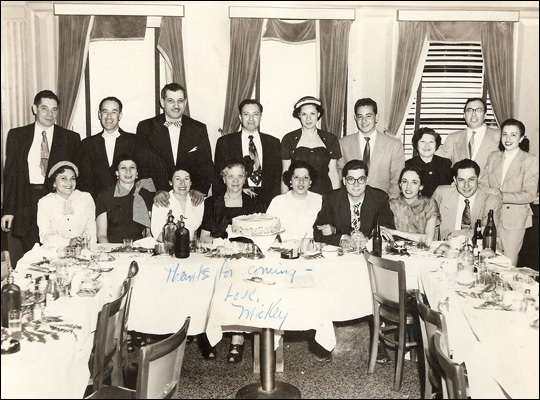 Bronx Family Memories for Everyone Growing up in the Bronx, sisters Carolyn Schlam and Rebecca Katechis were swamped during family gatherings by an extended family of 16 aunts and uncles. It's a life they now remember with wonder and joy. 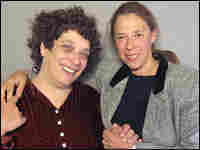 Rebecca Katechis (left) and Carolyn Schlam have lived in Miami for 10 years. But they still have vivid memories of family life in New York City. The sisters' aunts and uncles, gathered for an engagement party in 1952. 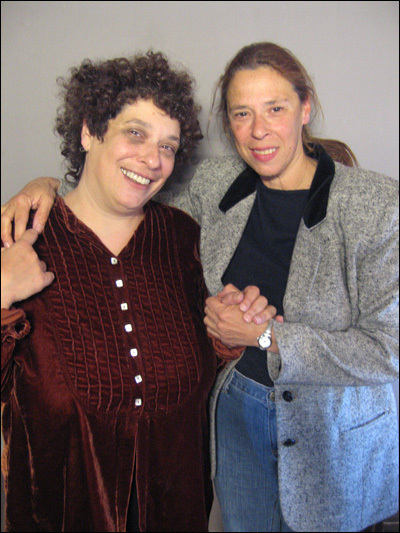 Growing up in the Bronx, sisters Carolyn Schlam and Rebecca Katechis were swamped on family occasions by an extended family of 16 aunts and uncles. The family often gathered at the Bedford Park apartment on Valentine Avenue that Carolyn's and Rebecca's parents, Anne and Sam Dobkin, lived in for 52 years. The sisters could feel smothered by the crush of relations. But today, Schlam, 59, and Katechis, 52, look back on the chaos with a sense of wonder and joy. While they once plotted eluding the family's inescapable embrace, the sisters now say they find themselves emulating the family life of their childhood. Schlam and Katechis couldn't escape their past. And now they don't want to. They recorded their memories with StoryCorps to commemorate a family that has passed into history. They don't have anyone left in the family to share the stories with. Their parents are gone, and their sister Toby died about a year ago. The two, who both moved to Miami 10 years ago, jumped at the chance to save and share the warmth of their memories with a wider audience. Produced for 'Morning Edition' by Michael Garofalo. 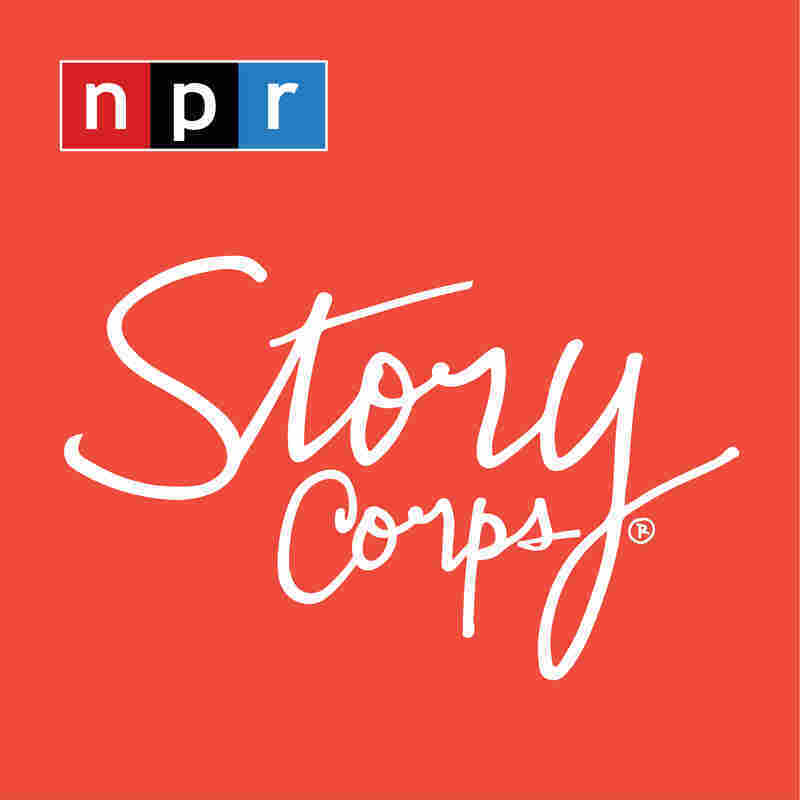 The senior producer for StoryCorps is Sarah Kramer.